Patients claim that white patients’ rooms are spotless, but the black people’s rooms are filthy. Whites sleep on clean linen while blacks sleep on dirty blankets and old beds. 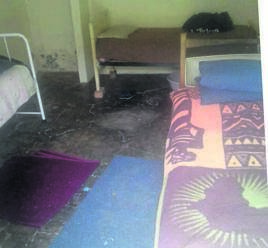 Such claims, made by patients at the Sunfield Fortuna Home for the Disabled in Balfour, Mpumalanga, are backed up by video evidence. They indicate that patients are treated differently, depending on skin colour. Daily Sun visited the home on Tuesday. 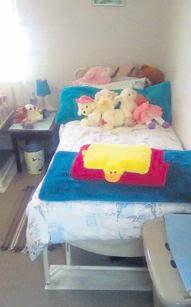 Patients at this facility for the disabled claim that rooms being occupied by black patients are different to those occupied by mlungus. Even the buildings where patients stay are not the same. 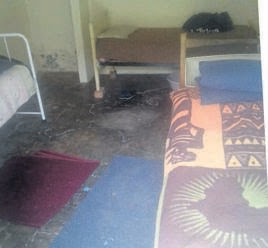 The blacks stay in a structure that’s dirty, windows are broken, toilets are filthy and faulty. The white structure is like a mansion in the suburbs. It has proper toilets and spotlessly clean bedrooms. Patients told Daily Sun all they wanted was to be treated fairly. “We never thought that there are still places that treat people differently,” said a physically disabled patient. The staff said they, too, were being discriminated against. They said black staff were not allowed to stay in the same place as the white staff. Another nurse said they didn’t have access to water while the white staff have hot running water. “We also live in cold and dirty rooms with cracked windows that are covered with cardboard,” said another nurse. Another one of the three nurses said when they take a bath, they have to get water from the kitchen. She said when a black patient asked for a footrest on his wheelchair recently, he was given a plank while whites are given new wheelchairs. “The needs of the black patients are not met here. We’re understaffed,” said the nurse. One of the nurses said the patients were given rotting food and bad medicine. She showed Daily Sun expired tablets. “This is what our black patients have to use” she said. The manager of the home, Brenda Gouws, said she was not allowed to speak to the media and could not comment. 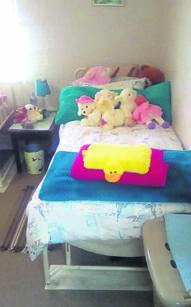 Mpumalanga social development spokeswoman Daisy Kgwale said the department was not aware of the allegations. She said policy on financial awards to service providers, which guide funding, promote transparent and non-racial access to services.